World Scientific Publishing Company, 9789810241582, 224pp. 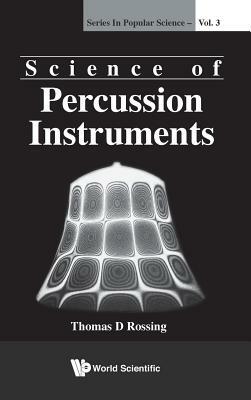 "What singles this book out is the sheer diversity of instruments covered this is a very welcome book. It is fair to say that the science of percussion instruments would not have advanced anywhere near so far without the tireless enthusiasm and passion of Rossing and his students. "Nature, 2001"It forms a very nice survey work on an entire class of musical instruments I recommend it to anyone interested in acoustics and the physics of musical instruments. "American Journal of Physics, Sept 2001.